July 20, 2014 - The IDF released late Sunday night the names of 12 of the recent 13 soldiers killed in Gaza overnight on Saturday. 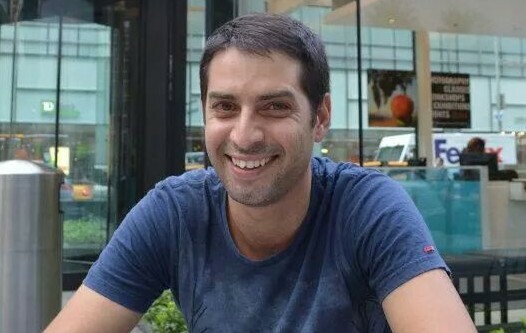 The military cleared for publication the names of: Maj. Tzafrir Bar-Or, 32, from Holon; Capt. Tzvika Kaplan, 28, from Kdomim; Sgt. Gilad Ya'akovi, 21, from Kiryat Ono; Sgt. Oz Mandelovich, from Avtalion; and Sgt. Sean Carmeli, 21, from Ra'anana, Staff Sergeant Moshe Malko, 20, from Jerusalem, Sgt. Max Steinberg, 24, from Be’er Sheva, First Sgt. Shachar Tase, 20, from Pardesiya, First Sgt. Daniel Pomerantz, 20, from Kfar Azar, Sgt. Shon Mondshine, 19, from Tel Aviv, Sgt. Ben Itzhak Oanounou, 19, from Ashdod, First Sgt. Oren Simcha Noach, 22, from Hosha'ya. Earlier in the day the IDF announced that 13 Israeli soldiers from the Golani Brigade had been killed since Saturday night in fighting in Gaza, bringing the total number of military fatalities in Operation Protective Edge to 18. The military was still completing the process of identifying the remaining fallen soldiers. The families had been notified of the soldiers' deaths. In one incident, in the early hours of Sunday morning, an APC carrying soldiers from Golani's 13th Battalion drove over an explosive device and caught fire, killing seven who were onboard. Shortly afterward, soldiers from the battalion engaged terrorists in a gun battle, and one soldier was killed in the exchange of fire. Hours later, two soldiers were killed in a firefight with a terrorist cell in Gaza. Three members of the Golani Reconnaissance Brigade were killed when a fire tore through the building they were in, shortly before 9 a.m.